Laugardalur Tjaldsvæði (campsite) in Reykjavík is a bit of a hike from the centre, but it has two things going for its location, and I knocked them both off the list the same afternoon I arrived. There is the massive public swimming pool Laugardalslaug, where a soak in the hot pools and a swim are a great way to recover after a hard day’s travelling. 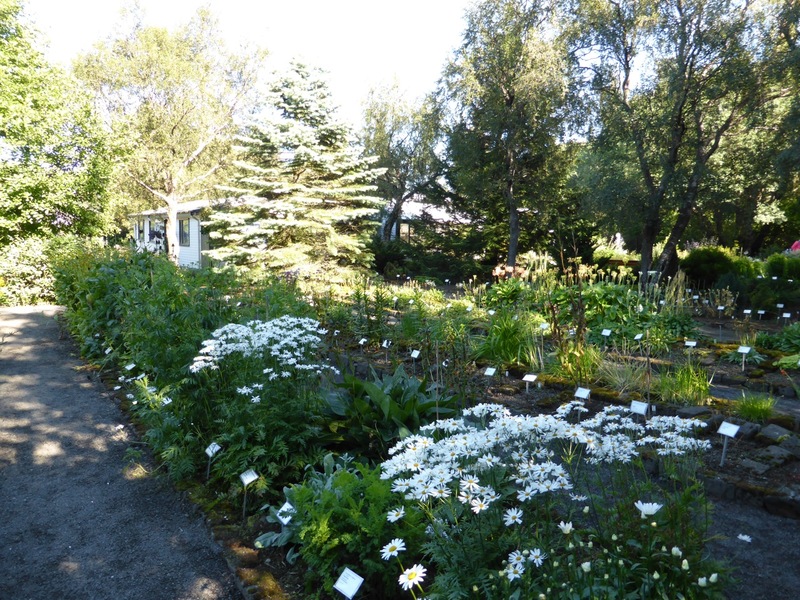 And there is the Reykjavik Botanical Garden, which I had also visited on my previous visit, but which was on much better form now in mid August than it had been in late April. 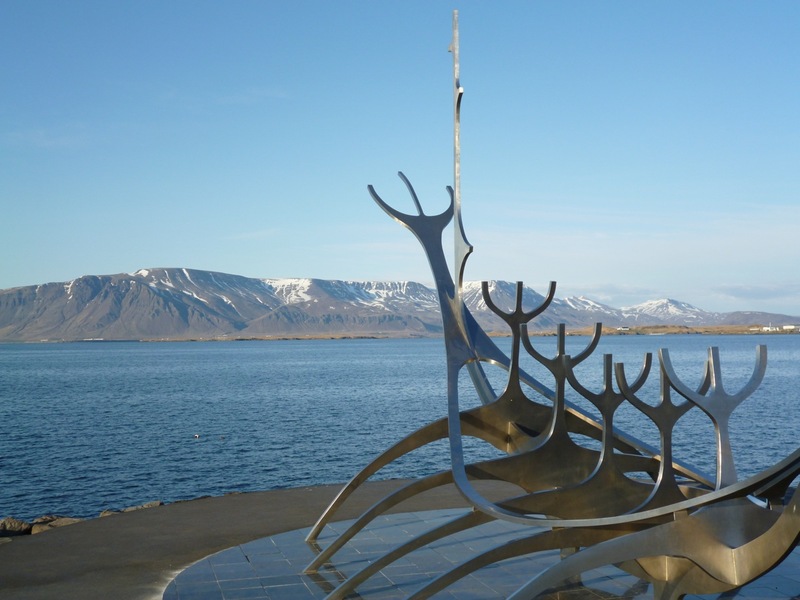 It is a beautiful spot, and the perfect antidote to a day spent among the barren lava flows and mud pools of Reykjanes Peninsula or the busy streets of Reykjavík. In the outer area flowery bushes line the perimeter fence, and little groves of trees line paths that run either side of a series of duck ponds, ending in a rockery. Through another fence the garden gets serious, with more trees, shrubs and flowers of every kind organised by family and geographical origin, and in the farthest corner more rockeries and an extensive area of raised beds full of flowers. The flowers were at their best on that sunny afternoon, and there were just enough families out enjoying the garden to give it a holiday atmosphere without it feeling crowded. Tucked away behind a wooden office building I was particularly pleased to find a very extensive rhubarb collection – somebody obviously had good taste. 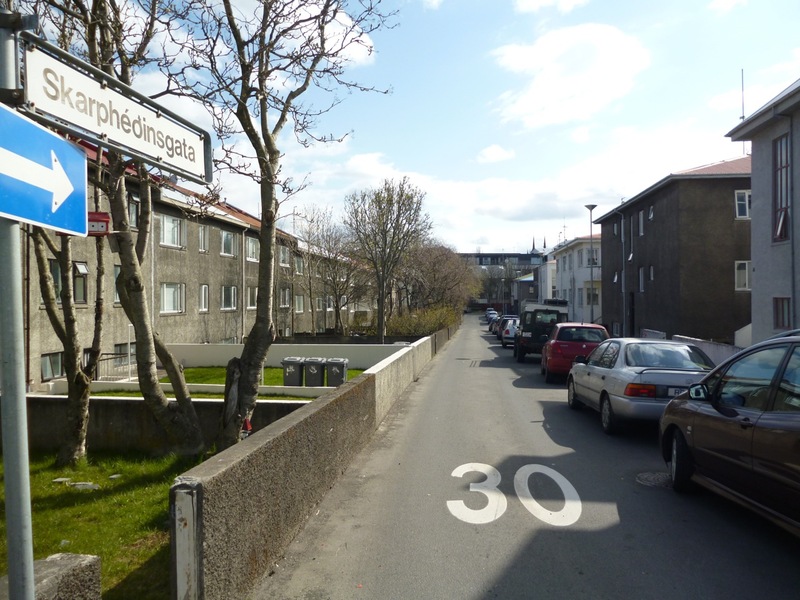 It is interesting how desirable a place the partially wooded valley around the Botanical Garden has become in the artificial world of modern Reykjavík, though I didn’t appreciate the tragic poignancy of this until I visited the museum ‘871±2’ the next day. The name 871±2 is a reference to a thin archaeological layer of volcanic ash from a large eruption at some time in that five-year window. It is known as the settlement layer because it is simultaneous with the earliest archaeological signs of human inhabitation on Iceland. It can therefore be used to date the first buildings in Iceland fairly accurately, depending on whether the ash traces of the layer are found below or above the structure being excavated. 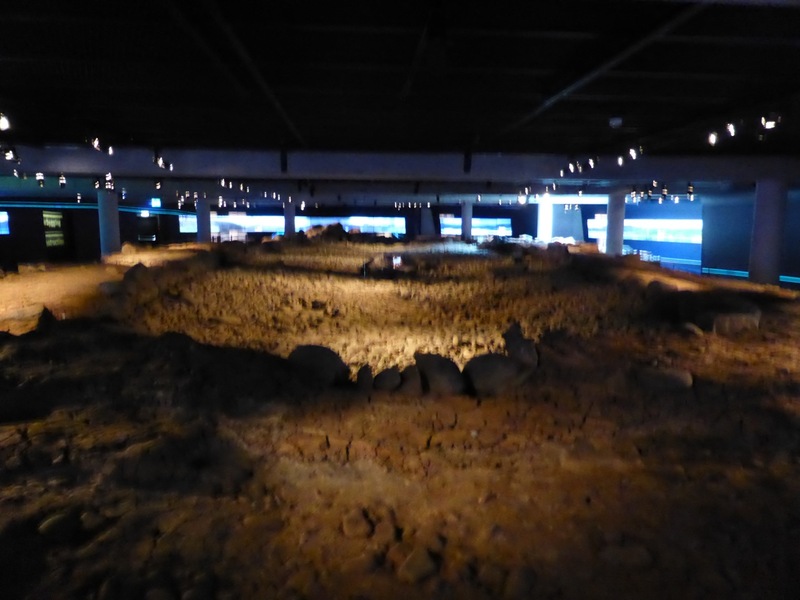 The museum is entirely below modern street level and has been carefully constructed around an excavation of a real longhouse built in about the year 930 AD, the remains of which are actually fairly comparable with its less celebrated uncle in Hafnir. The longhouse, or rather its stone foundation wall, forms the centrepiece of the museum, brought to life by a clever optical trick that makes it looks like there are actual flames burning in the central hearth. To one side a section of wall that just predates the ash layer demonstrates that it was a site in occupation for several generations at the very least. Panels in the museum wall set the scene of the original settlement with descriptions and illustrations of landscape, nature, and the human activities of the settlers. Particularly interesting is the assertion that the hills around Reykjavík were originally covered with birch woods. The woods were all destroyed in the first hundred years of occupation for grazing, burning, and charcoal production, which must have been devastating to the local economy – a lesson we now seem to insist on learning all over again on a global scale. 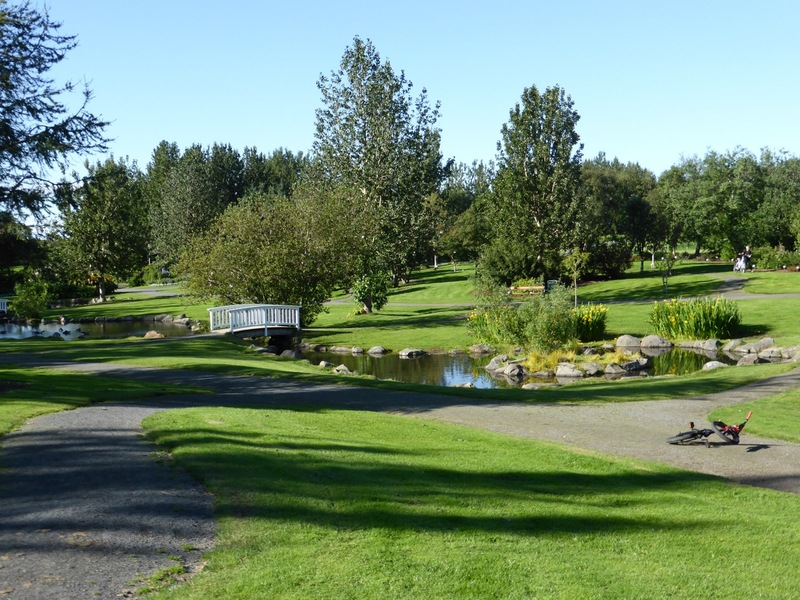 And in Reykjavík of course it means our instinctive gravitation towards more natural environments has required the artificial recreation of an ancient wooded landscape around the lake Tjörnin, and around and in the Botanical Garden. 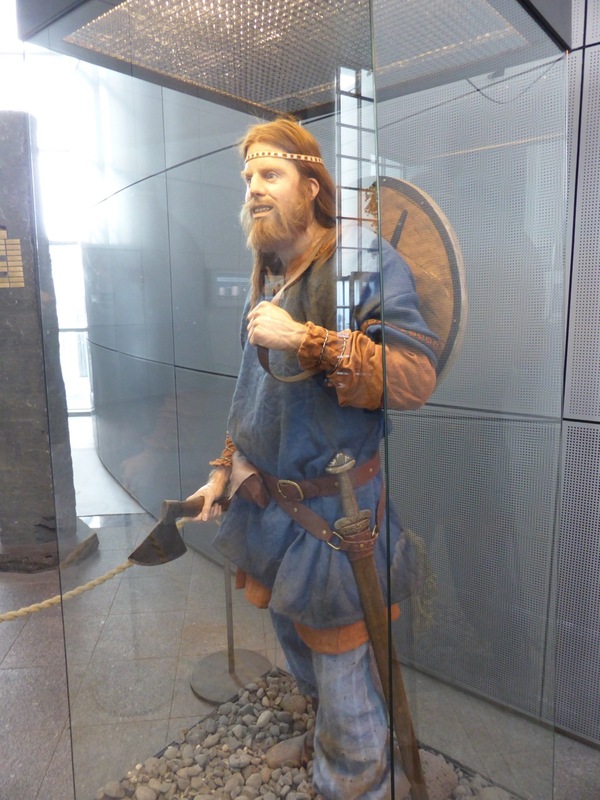 … and Skarpheðin as depicted outside the lively Saga Museum at Perlan. After a night at the campsite, two nights in a youth hostel in the centre gave me a chance to reread the sagas from the areas I would be travelling to next. I also found a solution to the eternal problem of hearing any Icelandic in a city where you are always identified as a tourist and addressed in English before the shop or café door has even closed. 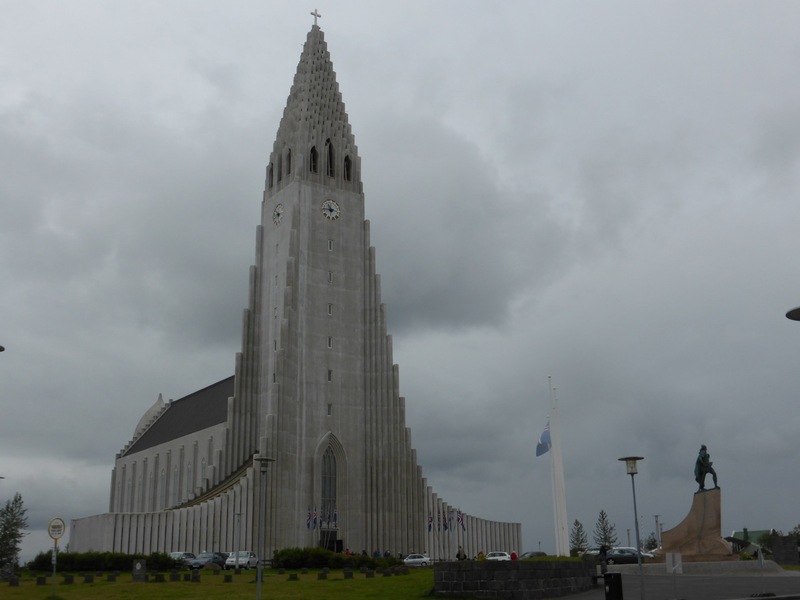 This is the 11am Sunday service at the magnificent Hallgrimskirkja, where an hour of flowing spoken and sung Icelandic seems too short a time, even if you don’t understand a word of it! It is a beautiful language to read and to listen to, and all the more interesting for its antiquity. It must be one of the least changed modern languages in the last thousand years, at least in Europe. Though the pronunciation has no doubt changed greatly, much of the vocabulary is the same the Vikings used, and one can readily imagine the settlers of the ninth century, and indeed the Anglo-Saxons in England, speaking in much the same way, with liberal scatterings of ‘eth’ and ‘thuh’ sounds. After two days of museums, saga reading, another swim (this time in my preferred Vesturbæjarlaug west of the centre) and two nights of good sleep, on the Tuesday morning after my arrival I was finally both ready and eager to begin my journey proper; my first destination was Kjalarnes and the dramatic mountain range of Esja. 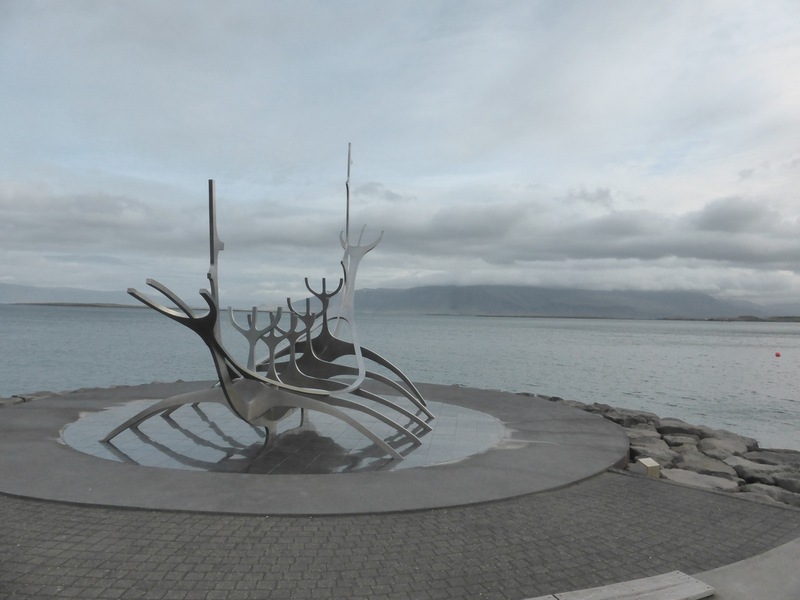 Kjalarnes and Esja beyond Reykjavík’s most iconic statue. … and the same view 18 months earlier in April sunshine.